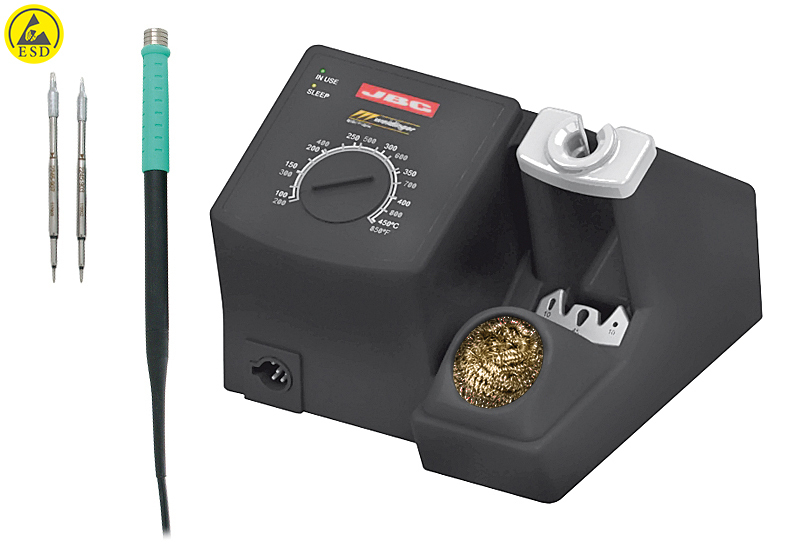 This lead-free digital soldering station distinguishes itself thanks to the high peak power of 140 watt. 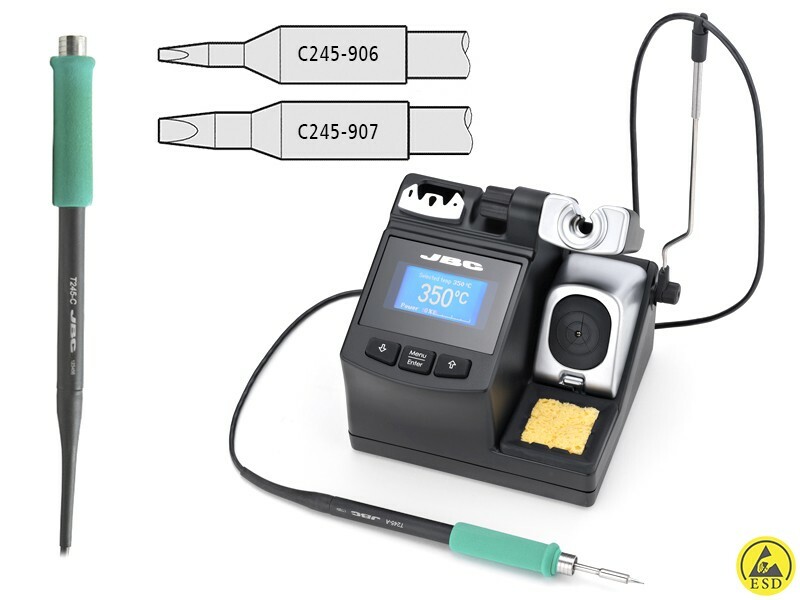 The soldering station can be set from 90 to 450 °C using the display and due to its high power it only takes 2 seconds to reach the desired temperature. Thanks to the built-in menu, you can personalize 20 parameters. 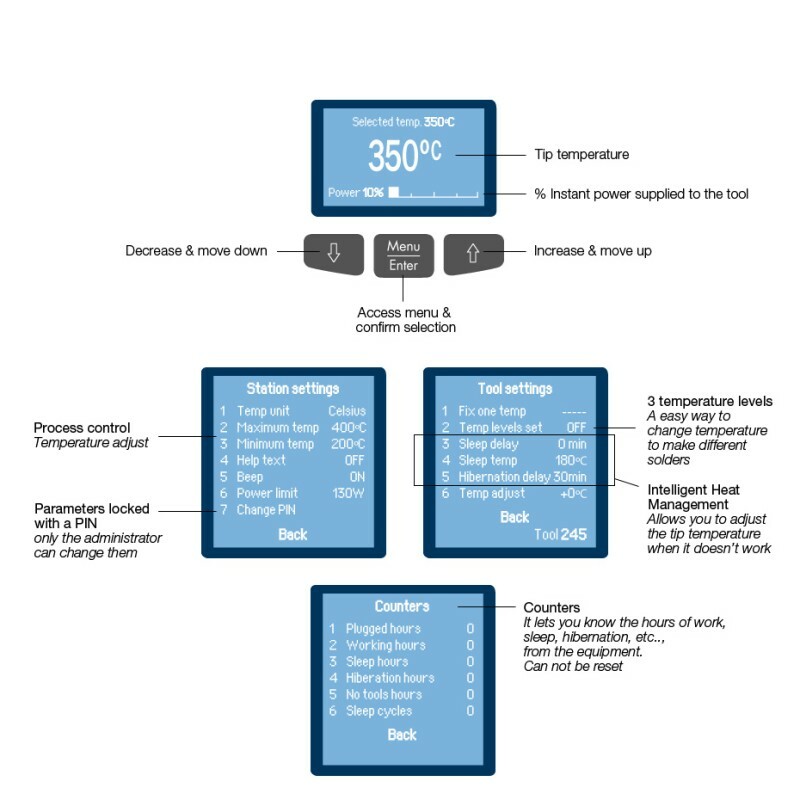 In addition, it is also possible to draw graphs, adjust the parameters and update the software via a USB connector and PC software. This makes it easy to customize the 2BE. The built-in swipe and standby functions enable a prolonged life span of the soldering tip. The soldering iron will warm up very fast when you pick it up. Because of this, the soldering tip lasts up to 5 times longer. The soldering station comes with an ergonomic hand piece, suited for the soldering of both SMD components and high power applications. The station comes with 2 chisel shaped soldering tips, the C245907 (2.2 mm) and the C245906 (1.2 mm). Other soldering tips can be found on this page. 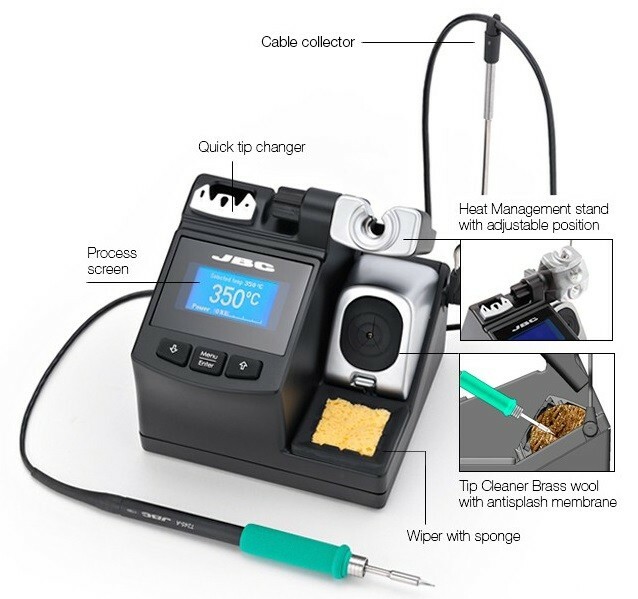 The soldering stations of JBC distinguish themselves from other stations due to the use of active tips. This results in a much faster heating time and also in a much bigger temperate stability during soldering, as can be seen in image 3. 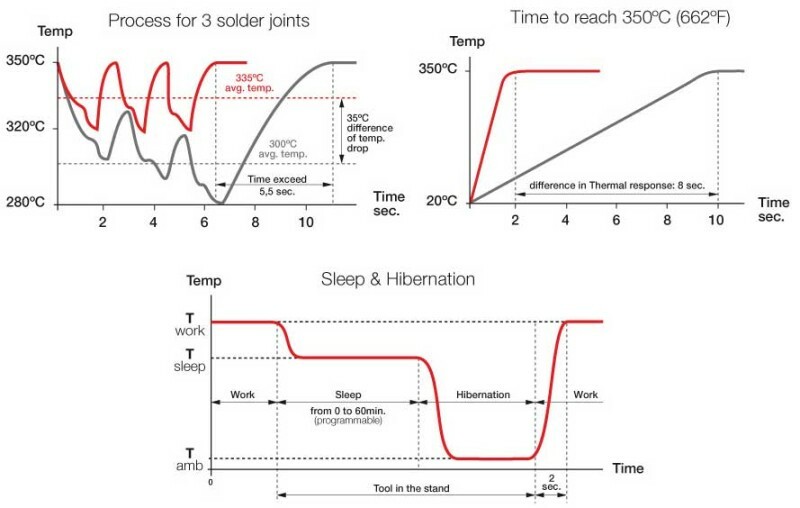 Because the heating element and temperature sensor are both entirely situated in the tip, the temperature can be controlled better and the difference in temperature between the tip and the rest of the soldering iron is very small. In addition, it is possible to replace the tips without the need to let them cool off first because tip exchange assistance is provided in the station. The soldering iron itself, type T245-C, has a soft grip of foam and is very light, making it easy to use. Spare tips or tips with a different shape can be found on this page. Eevblog (Dave Jones) screwed open the older model in 2013 and tells you exactly what he thinks in this clip.